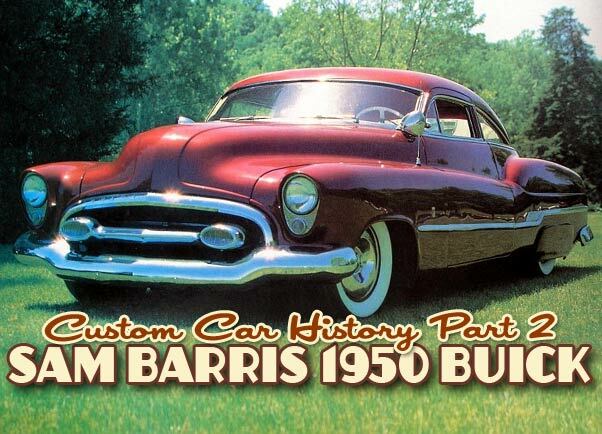 Sam Barris his personal Milestone Custom from the early 1950s disappeared on the East Coats of the US in the 1960s. Neglected for many years, it was eventually found, restored and enjoyed as intended. 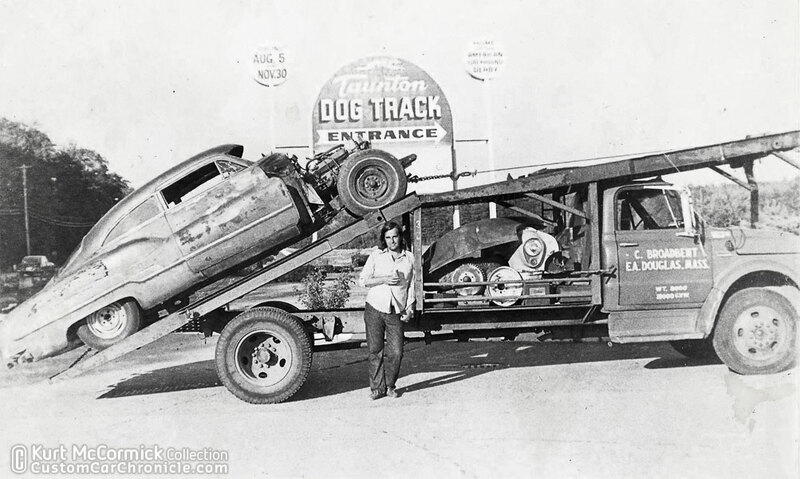 Several sources have mentioned that the Buick was owned by drag racer who used it for drag racing and promotion work. 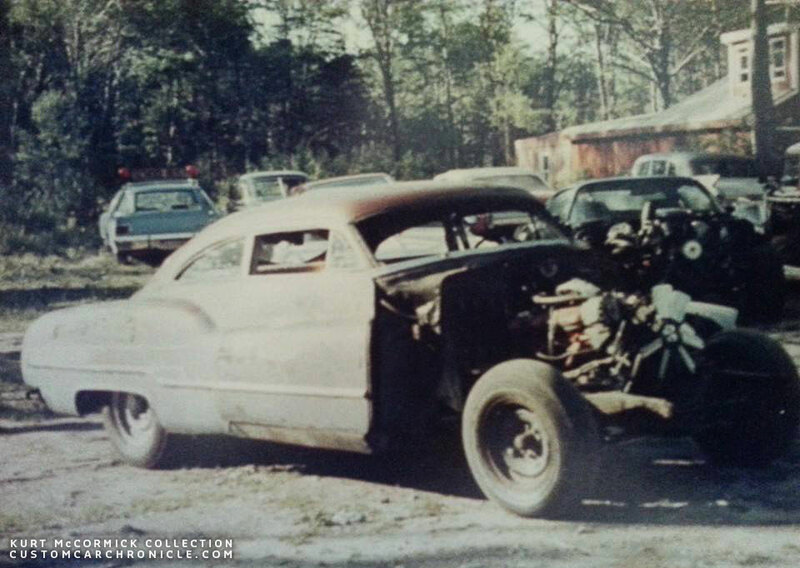 It is said that the stock straight-eight engine was replaced by a hopped-up Buick Nailhead V-8 and that the rear inner fenders were cut out to make place for big slicks. We have not been able to locate any photos of this period of the car. 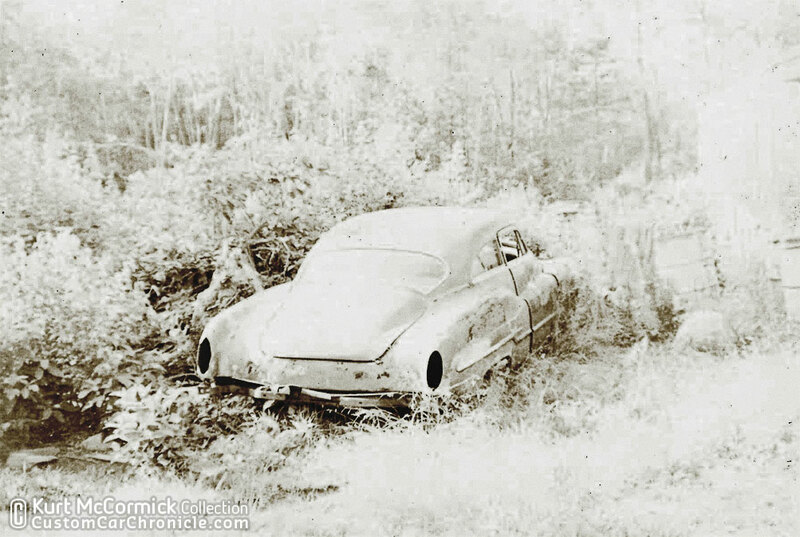 Then the car disappears again until it was found in the late 1960’s and bought to be restored. The car was in sad condition, but most of it was still there and very restorable. 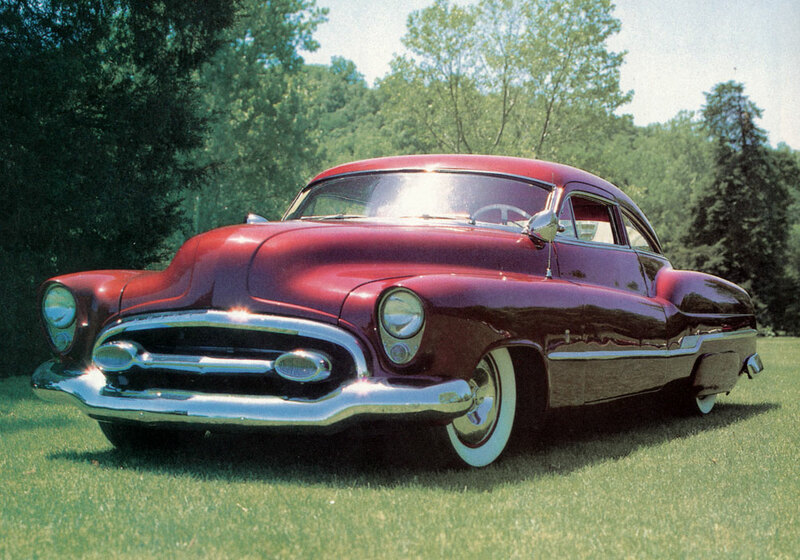 Only nobody back then was really into Custom Cars, et alone restored an original Custom from the 1950’s. Three photos from the early 1970’s show that the car still has the same wire wheels as the photos taken in 1957 show. It is hard to tell from the pictures, but it appears the rear wheels are also wires, which makes the drag racing story a bit questionable. But who knows perhaps after the racing the wire wheels were put back on. This photo shows the car in early 1970’s. 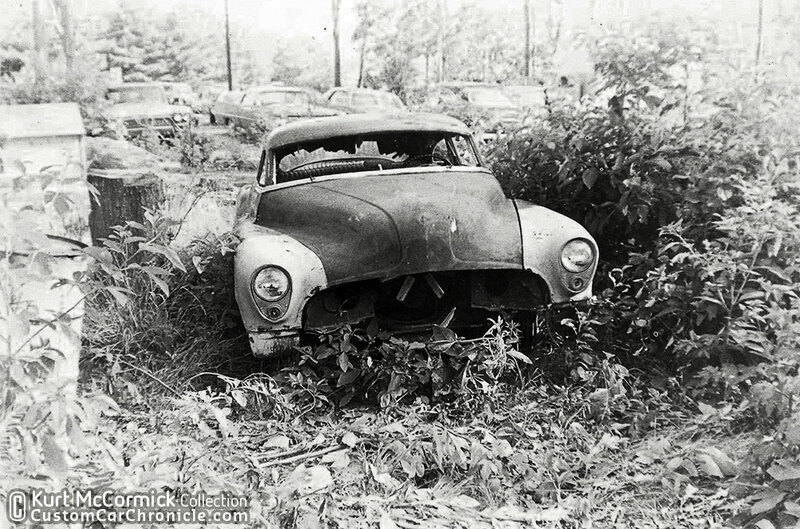 We can see the wire wheels which look a lot like the once on the car in the 1957 NJ photos. It also looks like the rear wheels are wire wheels. Notice the broken windshield. The car was now owned by Robert Bartel from Port Jefferson Station in NY. It appears that the car was repainted (poorly) in a medium green at one point. It is amazing the 1953 Pontiac Wagon taillights are still in place. 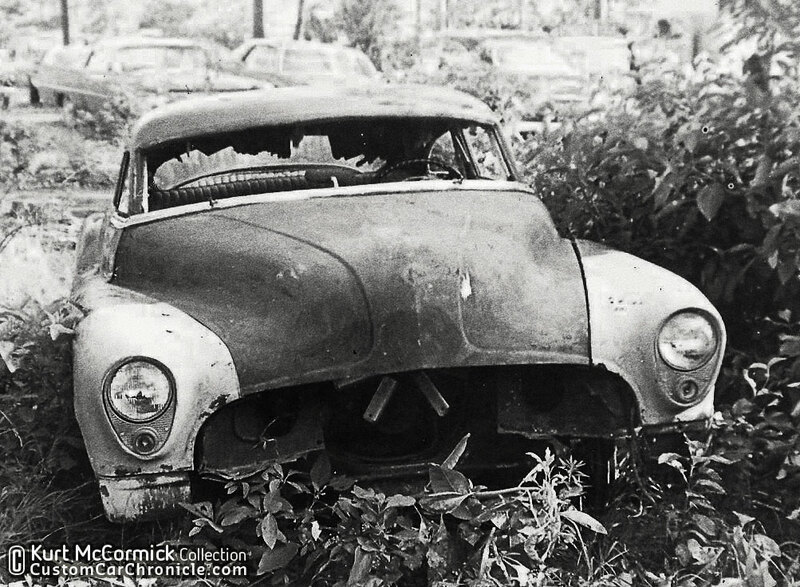 Sad to see the once so beautiful Sam Barris Buick in such sad condition. The hood and front bumper look very crooked. Robert offered the Buick up for sale in an 1970’s Hot Rod Magazine (thanks to David Squires for the scan). Another photo shows the car with an early 1970’s Buick engine installed. 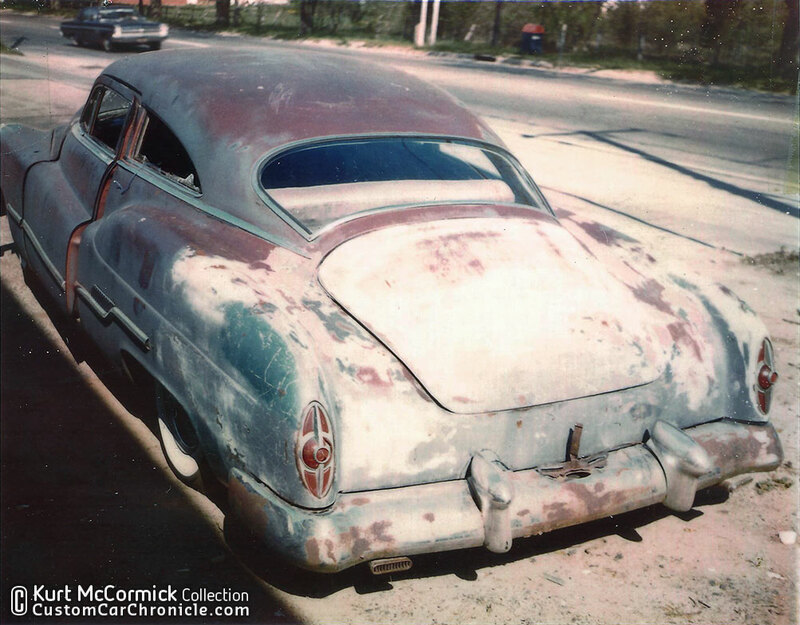 That is about as far as the restoration went with this owner. Notice that the broken windshield has been removed by now. 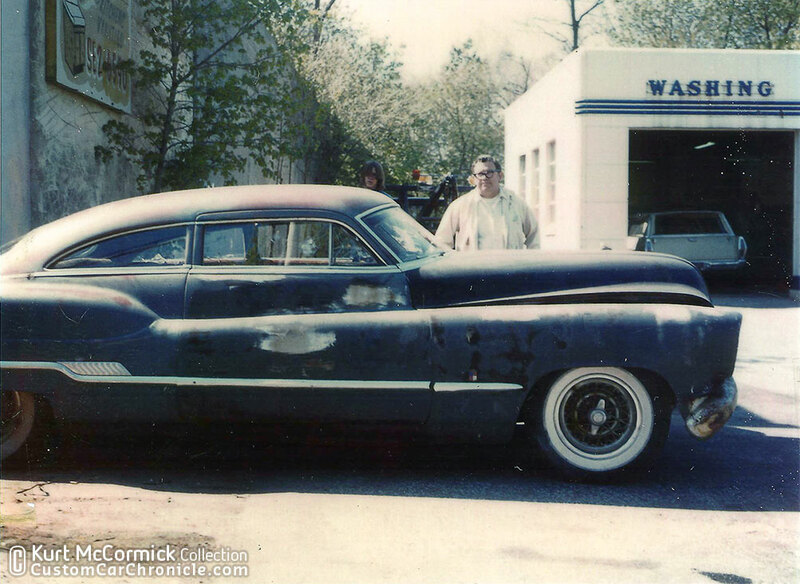 We are unsure when these photos are taken, possibly the Buick had changed hands once again and the new owner started doing some restoration work as we can see on the front fenders. After this the car ends up parked en neglected once again, many parts went missing in this period. It was “parked” next to a garage and left out in the open as if it was some junk. Fortunately it was discovered by Chris Carrier and saved. 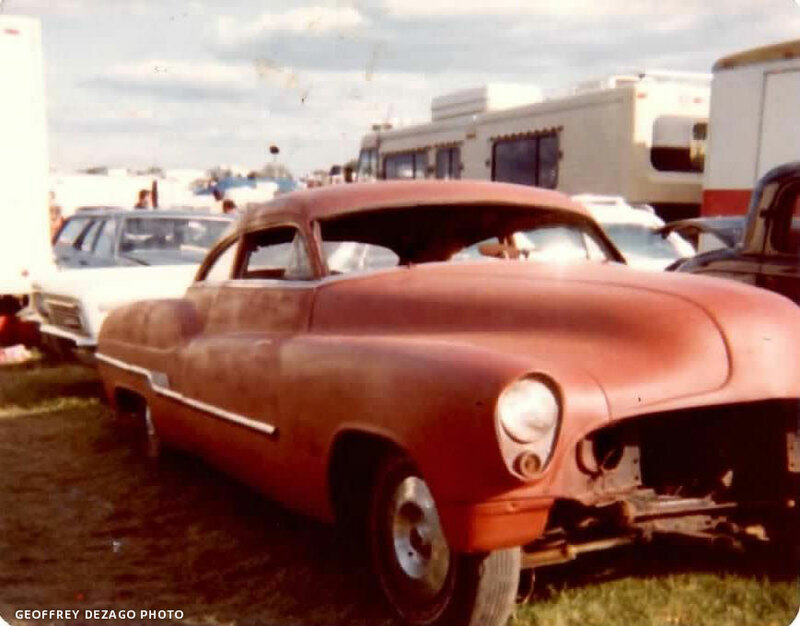 It ended up being for Sale correctly listed as the Sam Barris 1950 Buick at a mid 70’s Hershey, Pennsylvania swap meet. It was here that Jim Walker from Dayton Ohio sees the car, and falls in love with it. 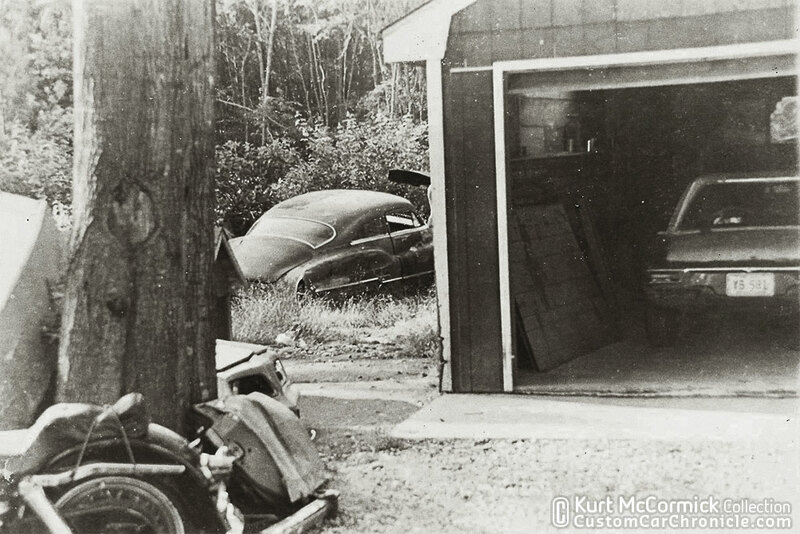 This is how the Sam Barris 1950 Buick was found by Chris Carrier in the mid 1970’s. Very sad shape left behind like junk. Chris and a friend figuring our how to get the car from its place to get some wheels and tired on it so that it can be taken to a better place. Very sad sight to see such an Custom Car Icon being neglected like this. These photo show that at this point there was still a bit left from the original Carson Top Shop interior, although in very bad shape. Nothing from it could be saved. Seeing these photos make me feel very happy that Chris discovered the car and was able to get it home to make sure it would get into the right hands. After a lot of work the Buick was out of the weeds, had wheels and tires installed and was on the truck together with all the parts they could find. 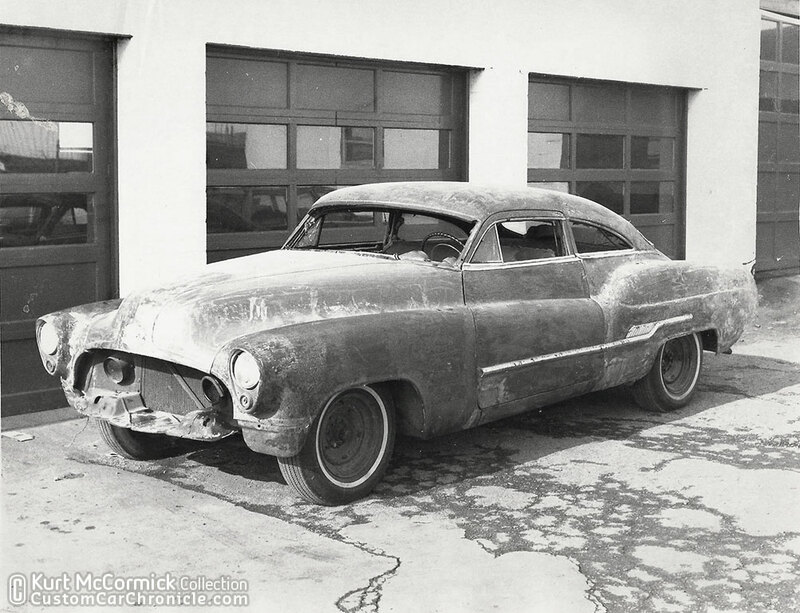 Yep… this is it… the Sam Barris 1950 Buick… the real deal. Its even amazing that back in the early/mid 1970’s Chris and his friends went true all the trouble saving this old Custom. This was the area only very few people were into Custom Cars, let along finding original customs and restoring them back to how they used to look. The early 1970’s Buick engine was still in place when Chris found it. This photo shows the rocker panels and lower rear fenders being in bad shape, and trim pieces missing. With the hood and front fenders off it still looked sad, but already a lot better than how it sat in the weeds not too long ago. With the front fenders and hood installed and the body cleaned up a bit it already starts to look better again. Around 1972 or 1973, I saw an ad for the Sam Barris Kustom Buick, in the back of the then, latest monthly issue of Hot Rod Magazine. 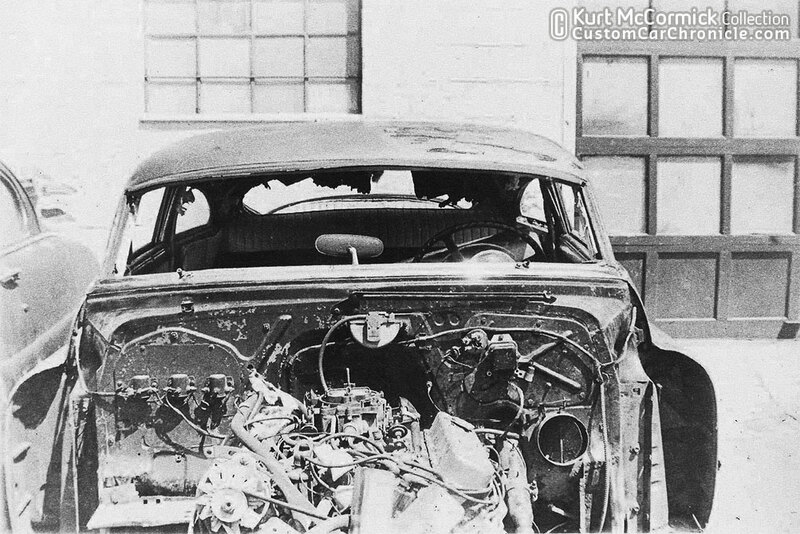 There was a small photo showing the very rough Buick. I called the phone number wanting to buy it. I think this was just when it was pulled out of the woods. The then owner told me, it was already sold, and I was too late! I asked him to please take my name and number, just in case things change. He kindly took it. Well, sadly, I accepted the bad news, and I tried to forget about it, but I never did. Some time after that call, I unexpectedly received a phone call one day, from a fellow that owned Sam’s Buick, asking me if I was still interested in buying it? Of course I immediately said yes! Because I really wanted to have it, buy it and restore it. Then I remembered, I now had no place to put it, because I had since purchased a 1951 Ford Victoria hardtop to restore. So, as it was, I regrettably had to turn it down. 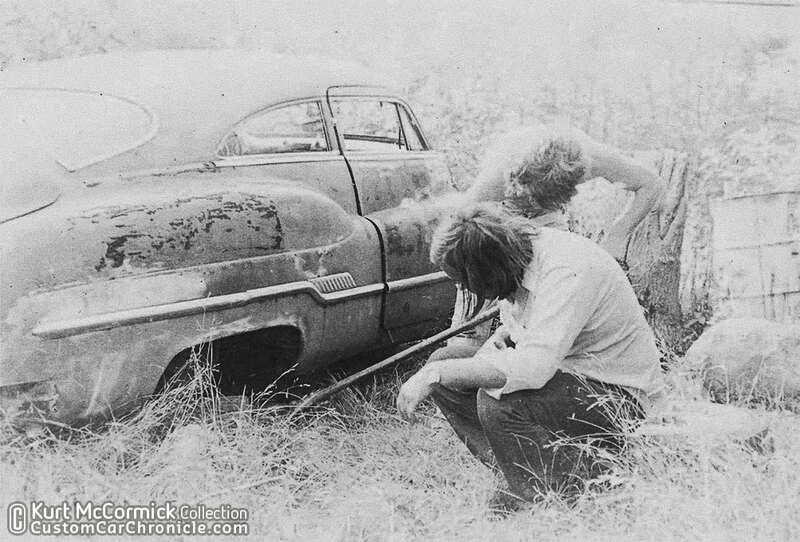 It was just bad timing again for me, and Sam’s Kustom Buick. Jim Walker, bought Sam’s Buick after that, and had it restored. 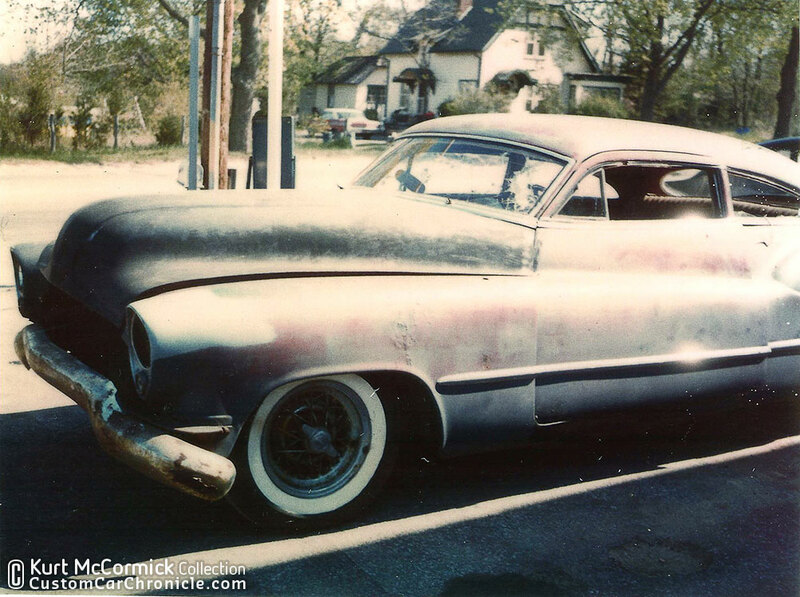 I’m glad he did it, because I’ve always felt sick about the outcome for me, but I’m glad people were able to enjoy that great Barris Kustom beauty again! Although, it has always been, one of the BIG regrets in my life, it will be great however, to see it back again, for many people to view and enjoy! Mid 1970’s at the Hershey, Pennsylvania swap meet the body was in red oxide primer to prevent further damage. But as the photo shows many parts like the bumpers, rare taillights, windshield, grille, interior and various trim pieces are missing. After Jim Walker bought the remains, the painstaking job of finding all the missing parts could start. Fortunately the February 1954 issue of Rod & Custom Magazine was a big help. The article was written pretty accurate and a lot of missing parts could be identified with the help of the magazine. Some parts, like the Pontiac wagon taillights were not easy to find, but in the end Jim and his team where able to find most of the parts. And the restoration could start. Jim Walker with his freshly restored Sam Barris Buick in 1979. Dave Oakes gets the credit for doing the majority of the restoration work. 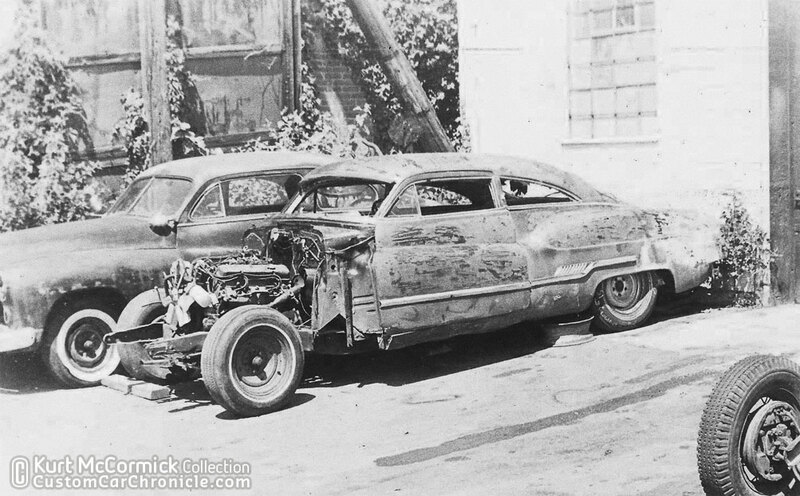 Jim found an 1950 Buick Riviera two-door that he used for the frame and drive train. The Sam Barris customized body was removed from the original frame which was in very sad condition by now, and set on the new in much better shape Riviera frame. Once again the Buick had a Straight-Eight engine. Jim hired Dave Oakes to do the restoration on the Buick. Dave did a great job fixing all that had been damaged over the years of abuse. Straightened the body, repaired parts, and reinstalled missing parts. The car was painted in 1970 Buick Titian Red which came close to the original paint samples found on the car. The interior was redone using all the old photos from the little magazines Jim was able to find. He only changed the white shag rug for a black one since Jim planned to use the car a lot, and white carpet might then not be the most practical. The restoration was finished in 1979. Jim enjoyed the car a lot, he visited many KKOA and other shows and the car was seen a lot driving all over. Bob Drake who restored the Ayala/Barris created Jack Stewart 1941 Ford in 1972, took this photo of Jim Walker’s restored Sam Barris Buick in the summer of 1979. 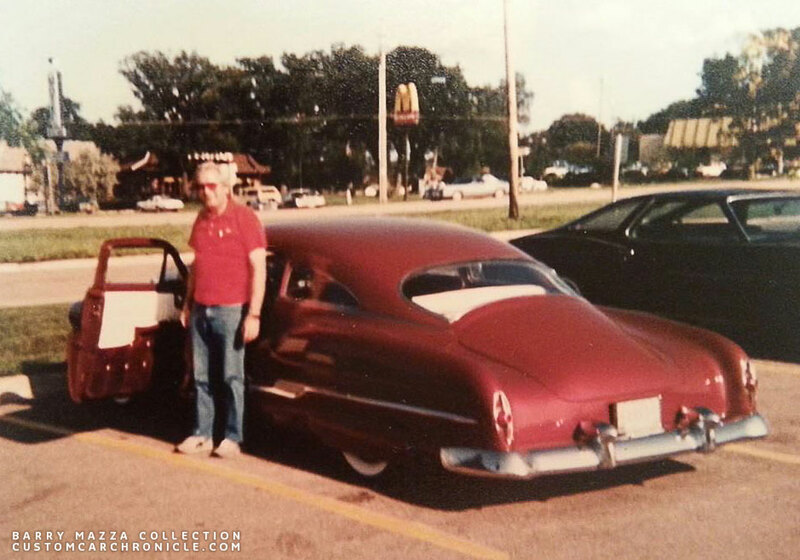 A few years later, Barris Collector Kurt McCormick, was able to talk Jim into selling him the car. 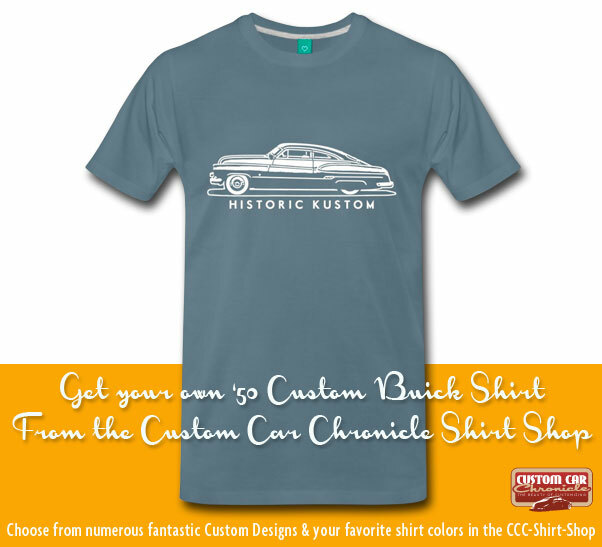 The Buick has been in Kurt’s amazing collection of historical important customs ever since. 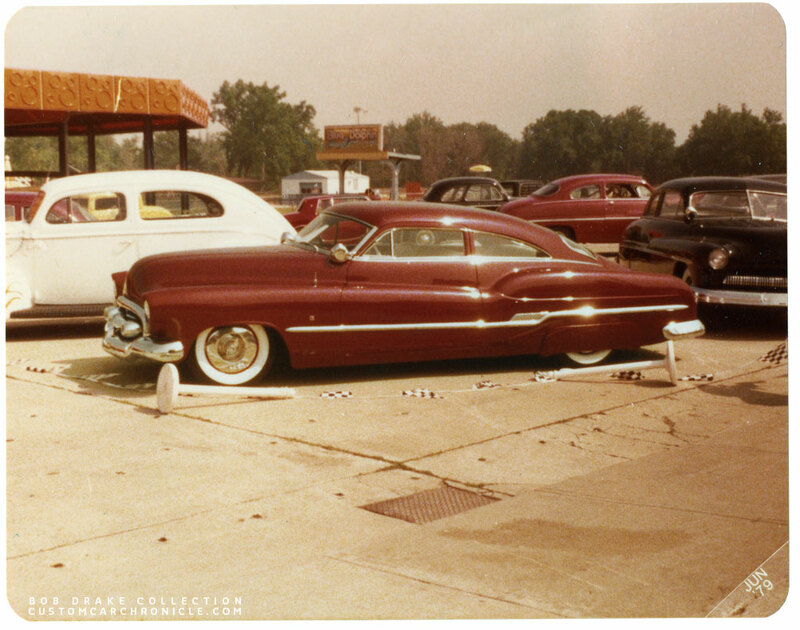 Kurt has driven the car quite a bit, and showed it at many shows, including a long period at the Darryl Starbird Museum in Wichita. 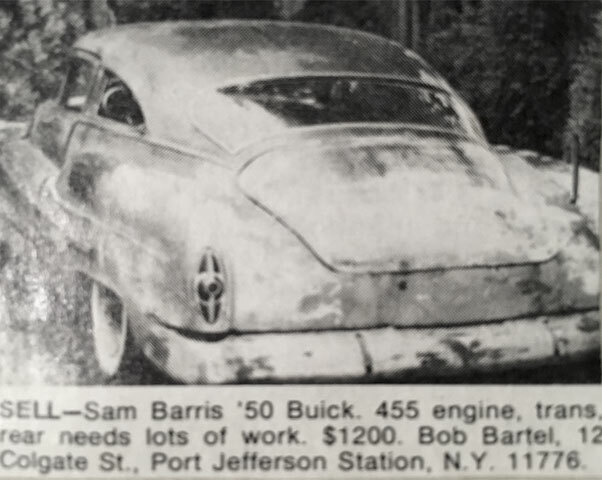 The Sam Barris Buick was featured in magazines from all over the world and appeared in several books. The car with the help of Jim Walker and Kurt McCormick helped put Customs back on the map again in the 1980’s. This front 3/4 view show how well proportions this car is. This side view of the Buick shows the amazing profile of the car and its wonderful tapering roofline. Steve Boutte took these photos at the Darryl Starbird Museum in 2007. The car was on display there for several years. The photo on the left shows that the 1980’s restoration was missing the chrome lip inside thee headlights as it was created by Sam originally. It also shows that the car is showing some signs of age. Close ups of the Interior on the Jim Walker restored version. 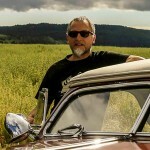 In late 2013 Kurt decides he wants to update the drive train on the Buick with the installation of a Buick Nailhead engine. This would help him drive the car on a more regular base. The car was delivered at Manns Restoration for the update. When the car was in the shop they asked if they could repaint the car so they could use it as display piece for an upcoming show. But once they removed the interior they discover a much more rusty base than everybody had expected. 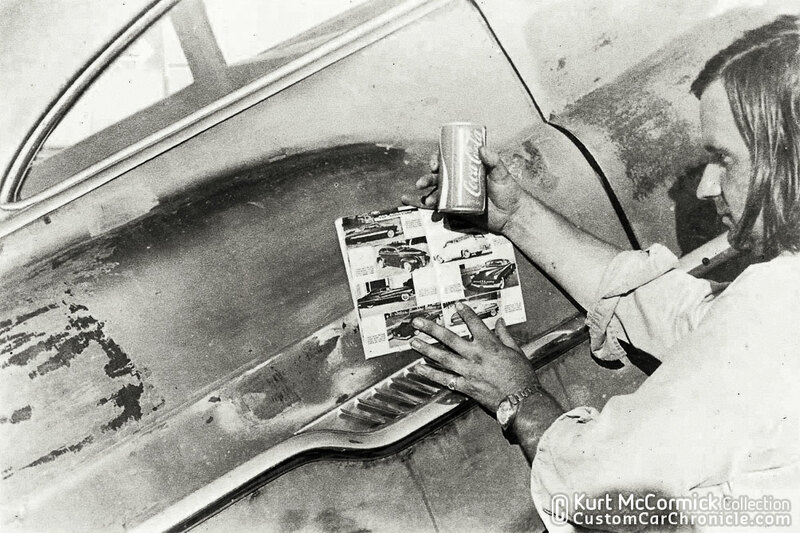 Kurt then decided to go for a complete restoration. We are looking forward for the Sam Buick to get back on the road and visiting the local car shows again. The Sam Barris Buick being completely restored at the Manns Restorations shop in 2014. 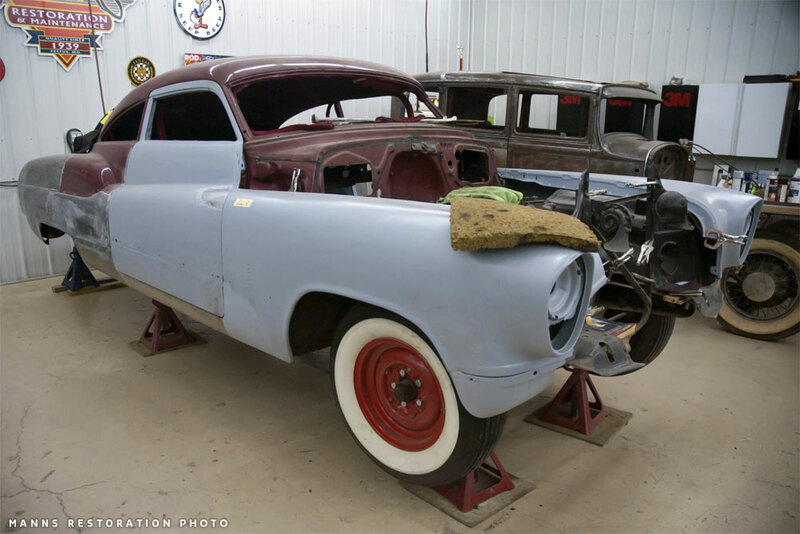 When the Buick is fully restored we hope to be able to bring you part three in this series…. And hopefully some of the missing parts in this cars history can be confirmed and filled in. Stay tuned…. Glad to see that it not only survived but is getting the treatment that it deserves. I’m with you, guys! The slippery streamline sedanette shape that was Buick’s classic statement pre-War through 52, was the perfect canvas for a quintessential Barris styling statement. Pure sculpture, from the elongated oval of the front lip to its echo in the brilliantly chosen taillights. Sam took “a good song, and made it better.” His mastery of metal forming is simply, even by the measure of today’s advances, marvelous. Sam’s Buick cannot be denied as one best of the best. A fleeting time, that era of creative imaginings, only now getting it’s just due. Long live traditional custom cars. And long live CCC. Question: Can anyone help clarify something about the “53” headlight rims. Rik astutely caught that in the early photos, you could see a chrome rim lining the oval Buick insert. In later photos, this piece is missing. 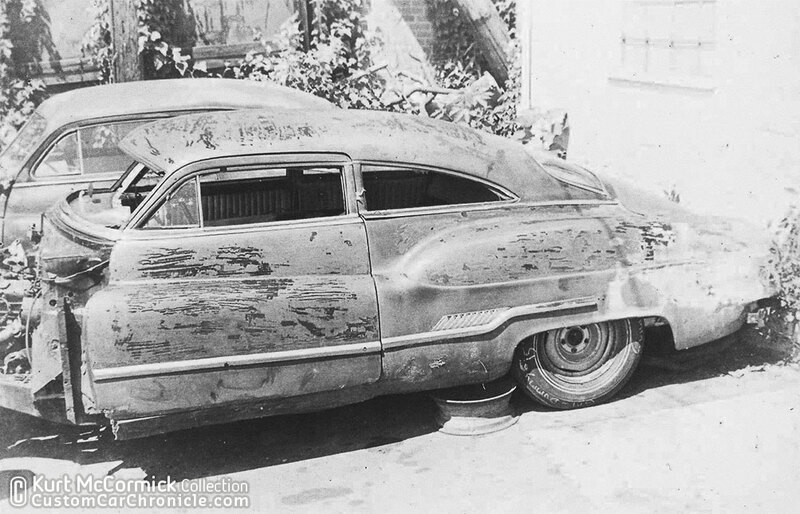 When I frenched the oval Buick rims onto my 53 Ford (See Confessions, part 3), I used the 54 rims. Unfortunately, those were pot metal. I had to use fiberglass cloth and resin to mold them onto the Ford fenders (after reattaching my light buckets from the inside). Harry Schwartz recalled that Frenchy also used fiberglass to form them onto his 50 Mercury Monterey (See Something About a Mercury). And at that time Frenchy was working at the Buick dealership. But I think I recall that the 1953 rims were not pot metal, but stainless. This would allow them to be welded or brazed onto the fenders of Sam’s Buick. But I’ve become confused about this point. Otherwise, Sam would have had to fabricate those shapes from round rod and sheet metal. Can anyone help? The 1953 Buick headlights are two part stainless pieces. The outer ring is one piece, then the waffle pattern teardrop shaped piece with the hole for the lights is the second piece. But still Sam would have had to cut down the outer trim ring to create the headlight ring insert. Not sure if he custom made the outside from rod an sheet metal, or if he had welded/brazed a second stainless unit to the fenders. Perhaps they found about that during the current restoration. i saw somewhere that 53 are not pot metal. Wow ,,amazing pictures,, !!! Thanks ! I talked to Kurt not long ago. The metal work is all done and at the time I think the car was in the final stages of blocking and priming and should be close to paint, if it’s not painted already. A whole ton of work and no doubt lots of $, and it will look just the same as when Kurt pulled it out of his garage to head to the shop. That’s dedication to saving these works of art right there. The Buick got bounced around quite a bit in the 60’s and 70’s, don’t know anything about the drag racing story. I found it advertised in Hemmings in the late 70’s, made an arrangement to get it purchased. I mailed off a deposit, and had a friend in Ohio plan on going to get it and deliver it to me in Modesto CA. But his wife became ill and was hospitalized, so I cut it loose. That’s when Jack came into the picture and rescued it. Larry that is an interesting question…… And would like to know my self about the head light trim on the Sam Barris Buick……. At one point you could get a pot metal brazing rod and you could braze pot metal at very low point…. Im not sure how Sam done his head lights and what was used…? Did you also see how the grille openings did not have the wire mesh while on its display in Riks first article. Also how the indicator holes were blank for the cover photo with the old Buick and the gal..?? I REMEMBER SEEING THIS CAR IN THE BACK ROW OF A SMALL USED CAR LOT ON THE WAY INTO LONG BEACH, LONG ISLAND. IT WAS THERE IN ABOUT 1957- 1959. IT WAS BOUGHT BY A CHAP NAMED LENNY (DON’T REMEMBER HIS LAST NAME), HE ALSO BOUGHT MY 1949 CHEVY. HE HAD IT IN FREEPORT WHERE I LAST SAW IT WHEN HE WAS STRIPPING THE PAINT.